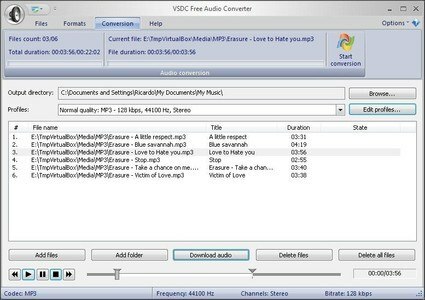 VSDC Free Audio Converter is a powerful multi-format converter capable of converting most audio files to almost any format. 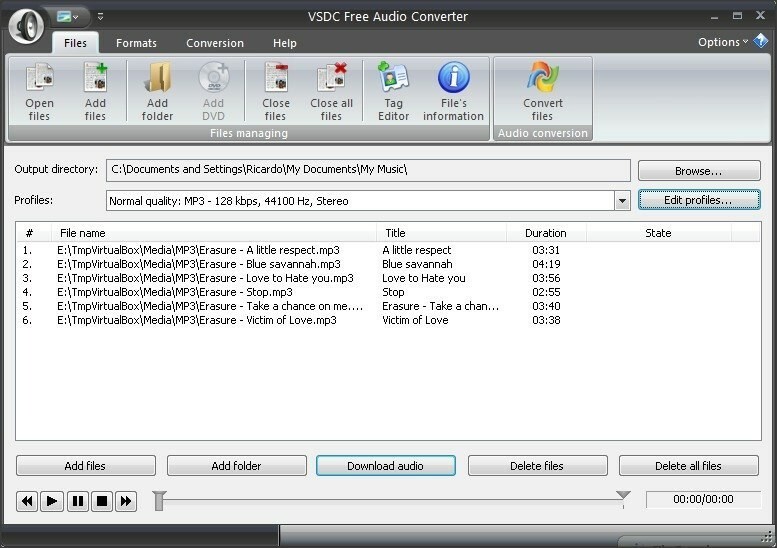 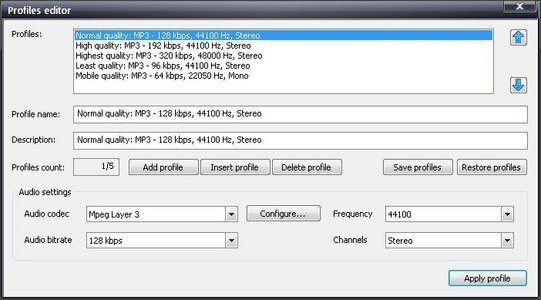 Designed for simplicity, VSDC Free Audio Converter is straightforward to use and comes complete with conversion presets. You can easily edit current presets or create your own. 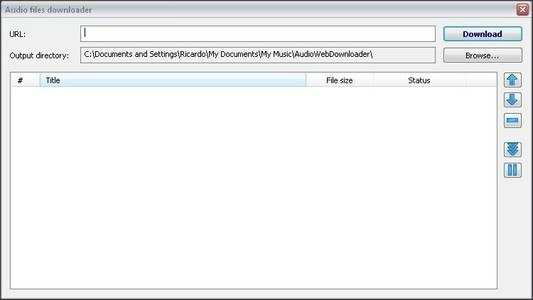 Convert most popular audio formats, including: MP3, FLAC, OGG, WMA, ASF, M3U, MOV, MP4, M4A, RM/RA, AMR, VOC, AU, WAV, AIFF, OMA and more. 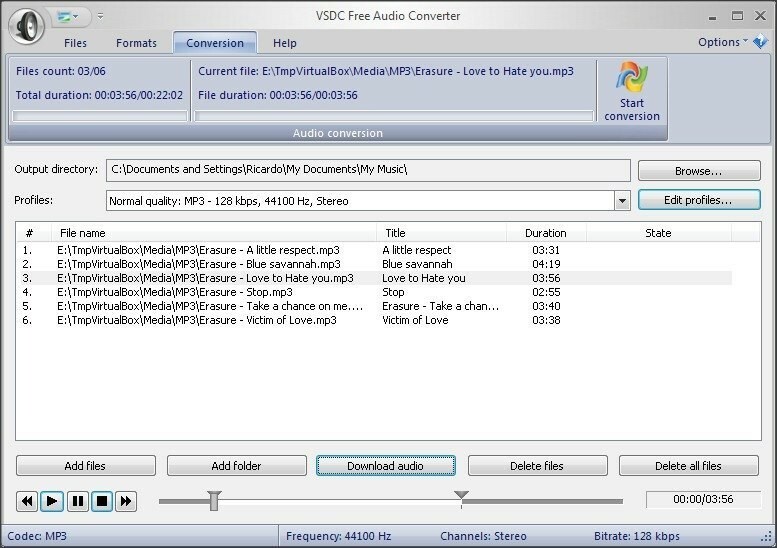 VSDC Free Audio Converter retains the quality of audio by utilising high quality audio processing algorithms(depending on conversion settings). 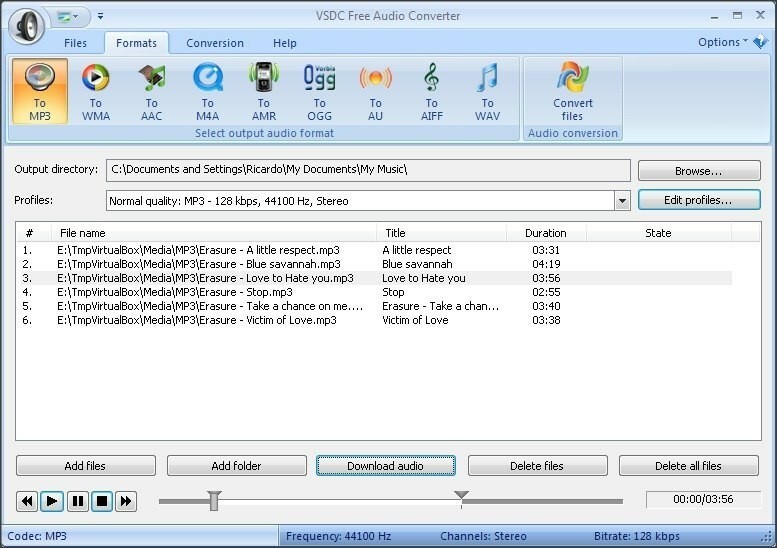 Save audio from video, built-in audio editor, download and convert audio directly from websites.